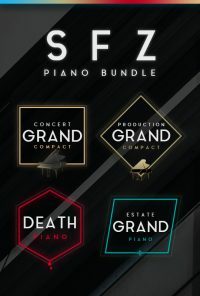 Production Voices’ piano sample libraries in the FREE Plogue sforzando format are a great way to enjoy exceptional piano sample libraries without the added expense of Native Instruments’ Kontakt software. In fact, in blind tests sforzando actually sounds slightly better than Kontakt as the audio engine does a better job of mixing the samples, in our opinion. 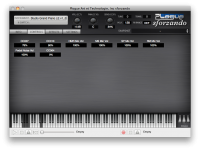 While it is FREE, sforzando does require slightly longer load times than Kontakt. 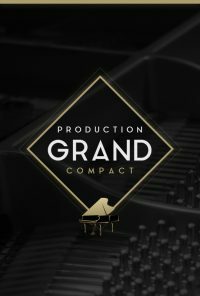 Production Voices sforzando formatted libraries are excellent for students, performers, composers, songwriters, teachers and piano players who do not own Kontakt and want to experience high-quality virtual pianos. 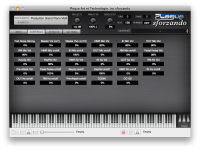 If you own Kontakt, we suggest getting the Kontakt version of our piano sample libraries. You can check out all of our available libraries for Native Instruments Kontakt at our Kontakt Piano Libraries page.